As my request for an extended check out was granted, I had time for a good one hours’ rest at the Residence before meeting up my uncle’s nephew Adam, whose family are true Kuala Lipis residents for generations. The place of the meet up was at the Pahang Club. A request that I made to my uncle was to visit it as it was the only place that I could remember when visiting Kuala Lipis for the first time in 1976. 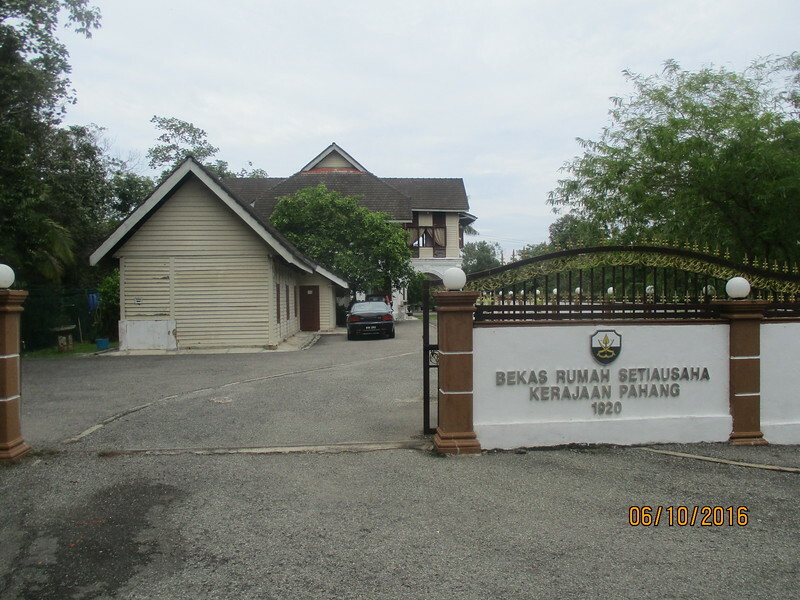 The Pahang Club was the first building to be built by the British in 1867 and became it’s first administrative site in Kuala Lipis and it served as the first Residence of Sir Hugh Clifford who was then only the Superintendent of Ulu Pahang until the Residence building was built on top of a hill. 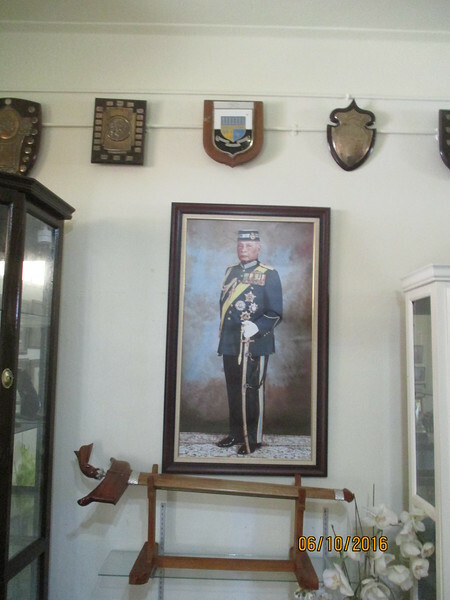 It was a brief residence for the Kuala Lipis Police Chief until it became an elite social club in 1926. 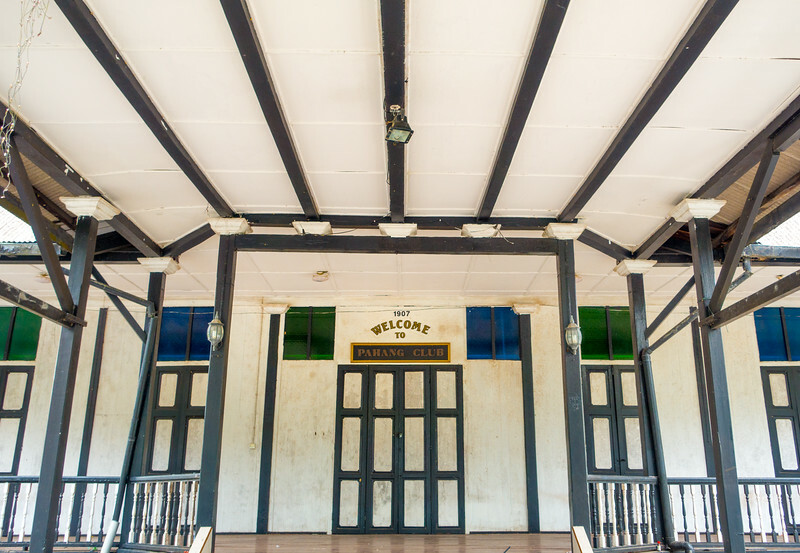 The Pahang Club building turned into a high society exclusive club that was reserved only for high-ranking British officers, planters, miners and military officers where the dress codes were strictly adhered to at all times. It was also rumored that the British wanted to turn the building into a palace for the Malay royalty but the proposal was shot down by the royalties themselves. After the Independence of Malaya in 1957, the club opened membership to all, regardless of race and status. 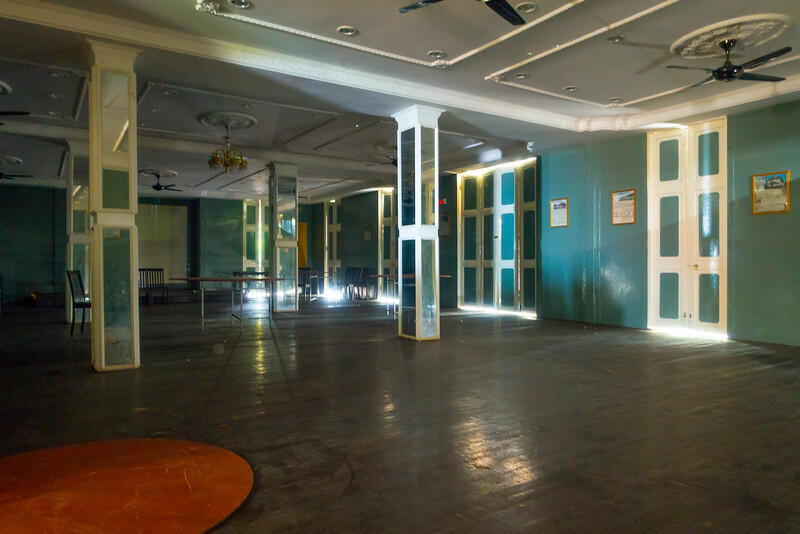 Adam with his connections in Lipis managed to gain permission to visit the interior of the club which was like walking back in time.I could imagine the parties and events that took place there. The walls of the club were filled with portraits of the British royal family with the squeaky wooden planks squeaking with British government officers dressed in their monkey jackets, military officers with their medal-laden mess kits, ladies in evening gowns and long gloves smoking cigarettes with long filters walking smartly with glasses of gin and tonics and champagne in their hands respectively. The local waiters and bartenders smartly dressed in white shirts with black bow ties serving drinks and cocktails to their British masters and with the toast to the British monarchs being observed at the end of the dinners ending with the National Anthem ‘ God Save the King ” being played by the military regimental band. On Sundays, the club was full of families enjoying themselves having picnics on the lawns, playing cards on the terrace, tennis at the nearby court and shooting billiards in the long bar room while having a pint of beer or two. The grandeur of the Pahang Club has disappeared over time and now what is left are used glasses in boxes and nearly empty rooms with one or two pieces of unwanted furniture . Adam, the friendly person he is , offered himself as a tourist guide for the day and the next place that was visited was the former residence of the State Secretary. 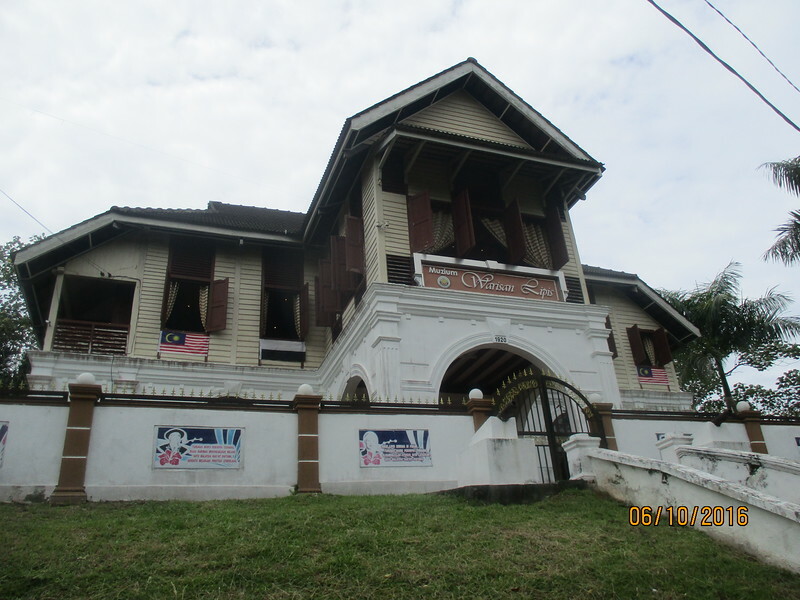 The house which is located on Bukit Bius and was built in 1920 was the former house of the second Prime Minister of Malaysia Tun Abdul Razak Hussien, where he served as the State Secretary of Pahang in the early 50s. 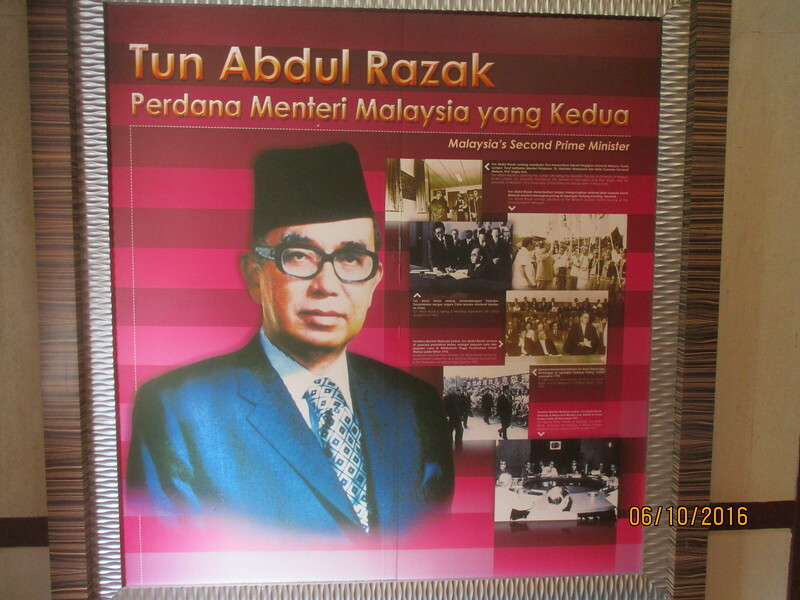 Ironically his son, The Rt Hon Dato’ Seri Najib Tun Razak who is currently the present and the sixth Prime Minster of Malaysia was born there. 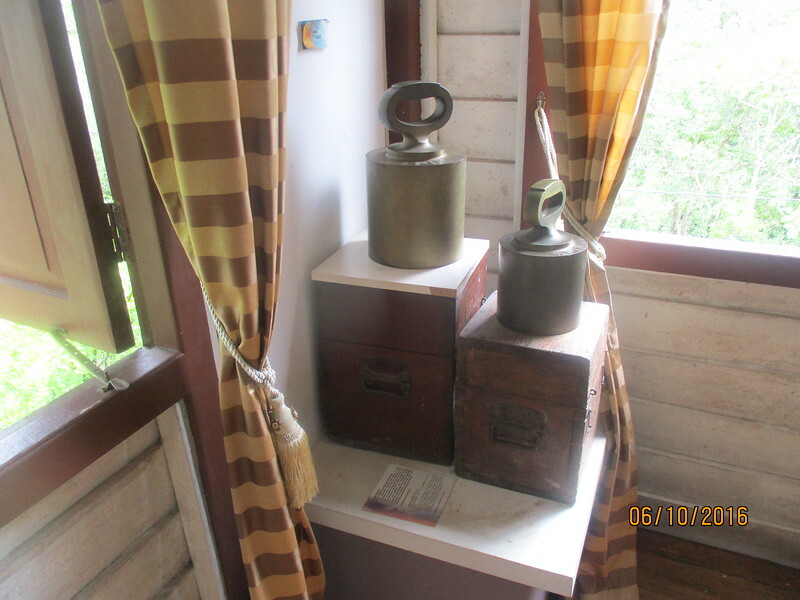 Presently the house has become a heritage museum where the memorabilia of the times that stood tall where things that were basic and used to serve its purpose with limited results. Personally, the interesting part of the museum was not it’s exhibits but the building itself. Adam being a local guy, began to show me places that were not printed or mentioned in the tourist blogs of Kuala Lipis. 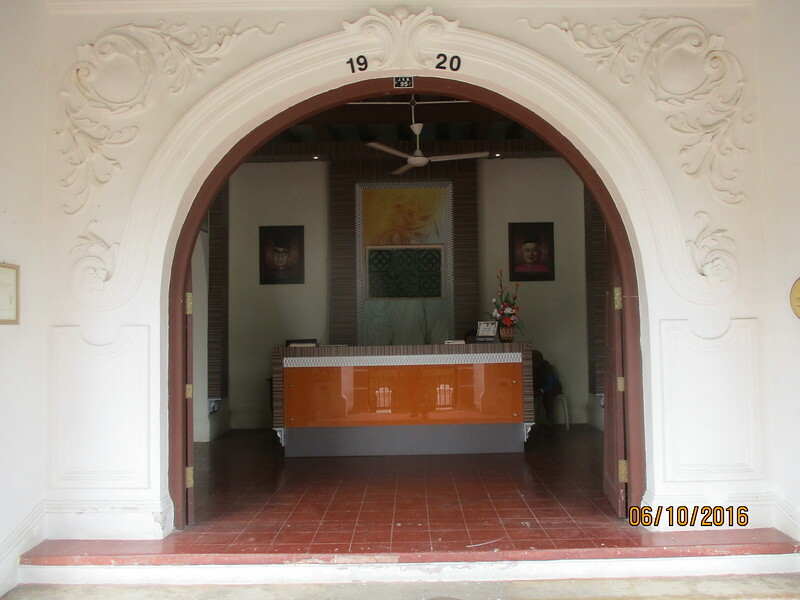 The first stop was at the two British graves that were situated in the middle of Kuala Lipis town where there were no explanation as to why it was located there. The next stop was the location of the living quarters of the railway staff. 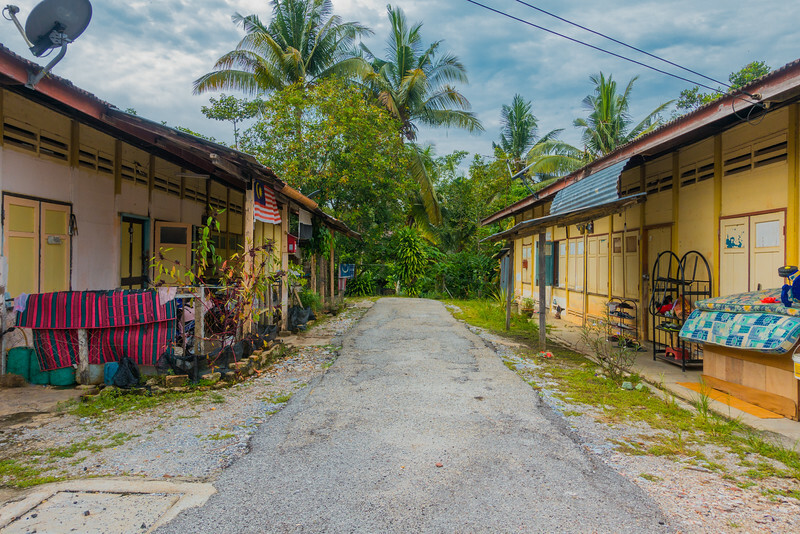 Located on the northern side of Lipis parallel to the railway line, the railway living quarters built in the late forties are still being used which were quaint looking and well maintained. Next on the list was the old wet market of Lipis which is located by the Jelai river and now turned into a complex of sundry shops. 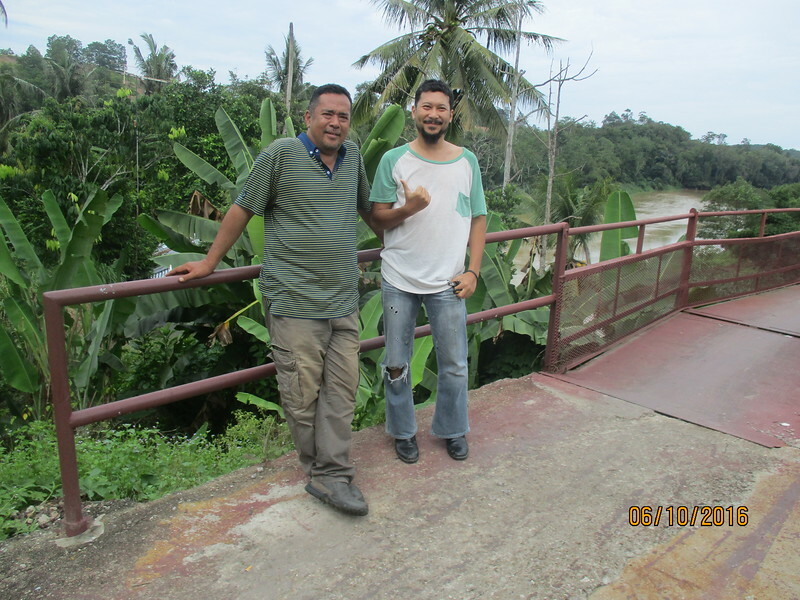 We then proceeded to the banks of the Jelai river to observe Patin (Silver Catfish) farms that were operating on a small scale. 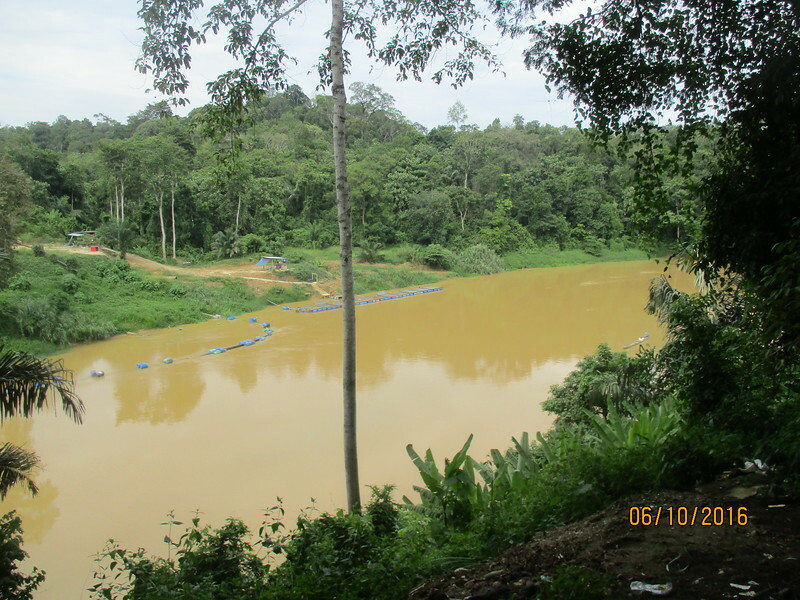 The highlight of the ‘off the beaten path’ tour was the visit to the confluence of the Jelai and the Lipis rivers. 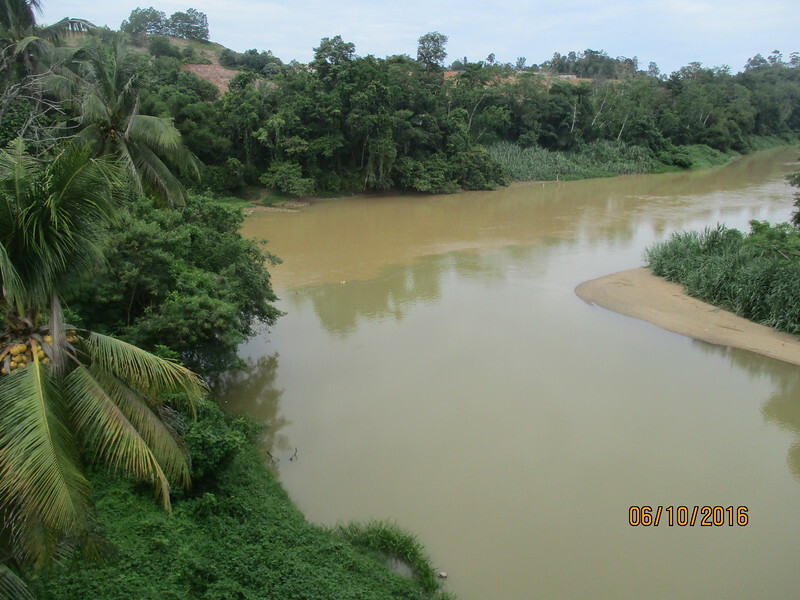 The difference in the colours of the waters that separates the two rivers could be seen here. 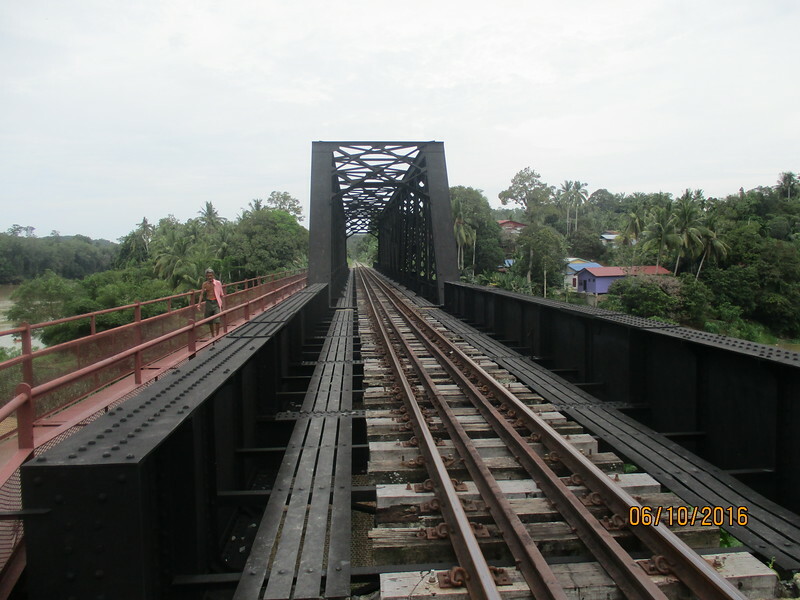 We observed this at the Tanjung Jati railway bridge, where the drive there was a short and interesting one, passing under the bridge that leads to the new part of Kuala Lipis and passing through a small village full of rambutan trees that were just beginning to bear fruits. Adam bade farewell as he had a prior engagement and I would like to thank him for his kindness and generosity for showing parts of Kuala Lipis’ jewels that were not even known to locals of the younger generation of Kuala Lipis. The next stop for the day was the Sekolah Clifford ( Clifford School ) and the Malay Hostel. I was lucky enough to befriend a teacher of the school at the Residence the night before and she cordially extended an invitation to visit the school. 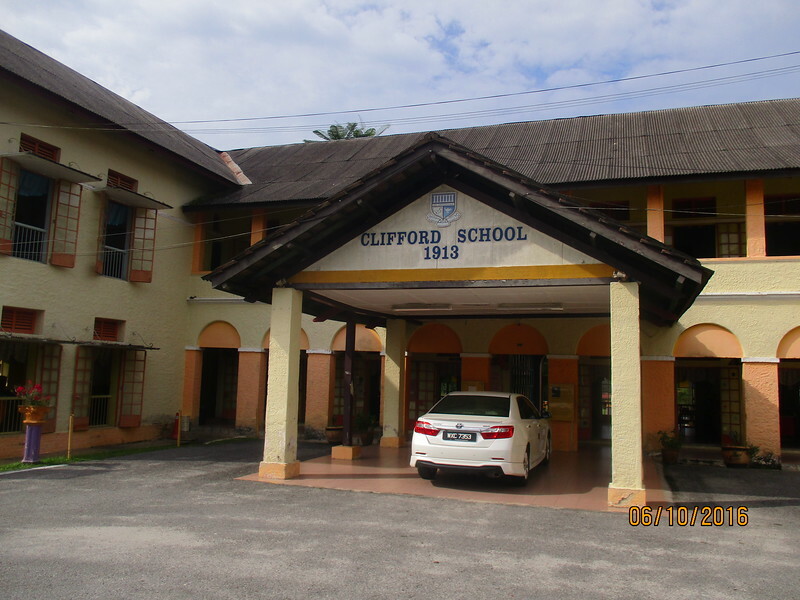 One of Malaysia’s stately schools, Clifford School goes back to the days of the British imperialism period. 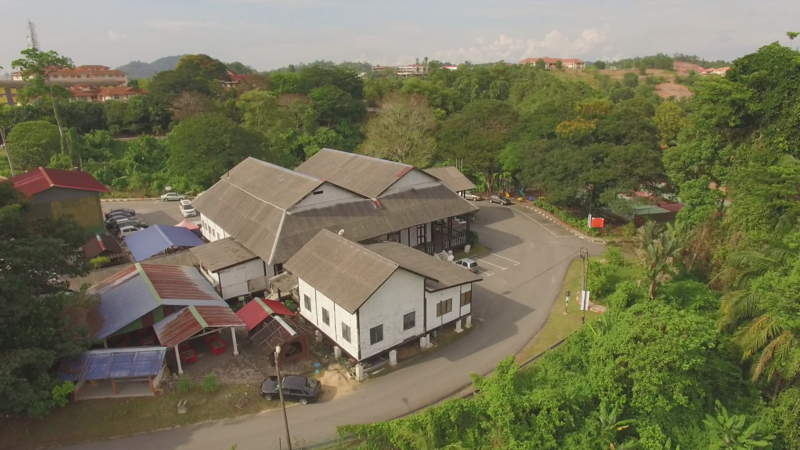 There are two main buildings which is the Clifford school building and the Malay Hostel that sits proud overlooking the banks of Lipis river. The Clifford School was first known as the Government English School and was opened in 1913. The official opening of the school was launched by Sir Hugh Clifford the then Resident of Pahang. 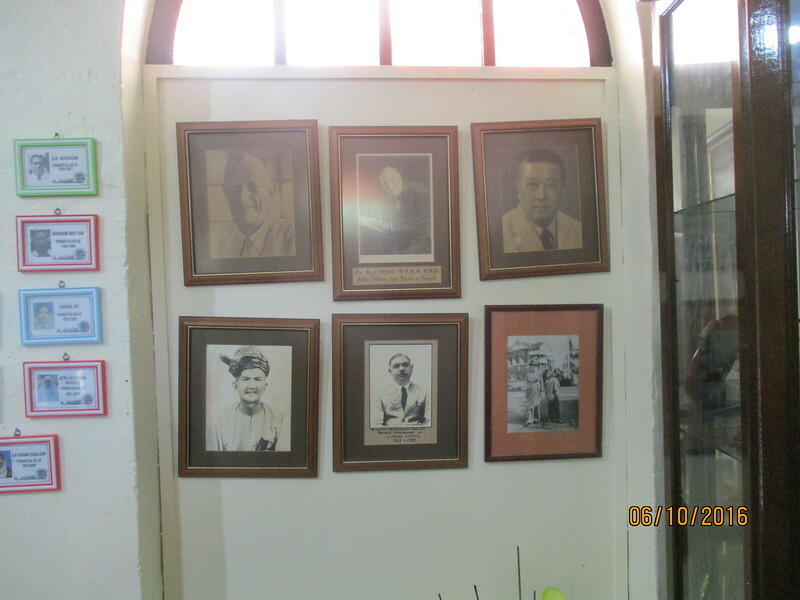 In 1926 he became the Governor of the Straits Settlements and the High Commissioner of the Malay Federated States where the school was named after him. The school also boasts notable students whom the present Sultan of Pahang, His Royal Highness Sultan Haji Ahmad Shah is an ex-student. Other notable ex-students were Tun Muhammad Ghazali Shafie the former Home and Foreign Minister in the Malaysian cabinet and also Dato’ Siti Nurhaliza who is one of the famous Malaysian entertainers. 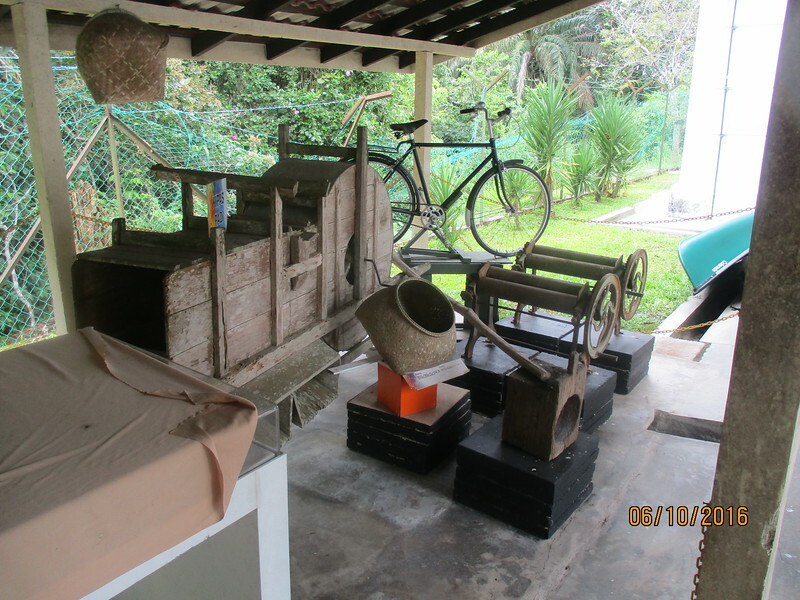 During the Second World War, according to elders of Kuala Lipis , the Japanese Army turned the school into their headquarters and also a torture chamber where some executions took place. 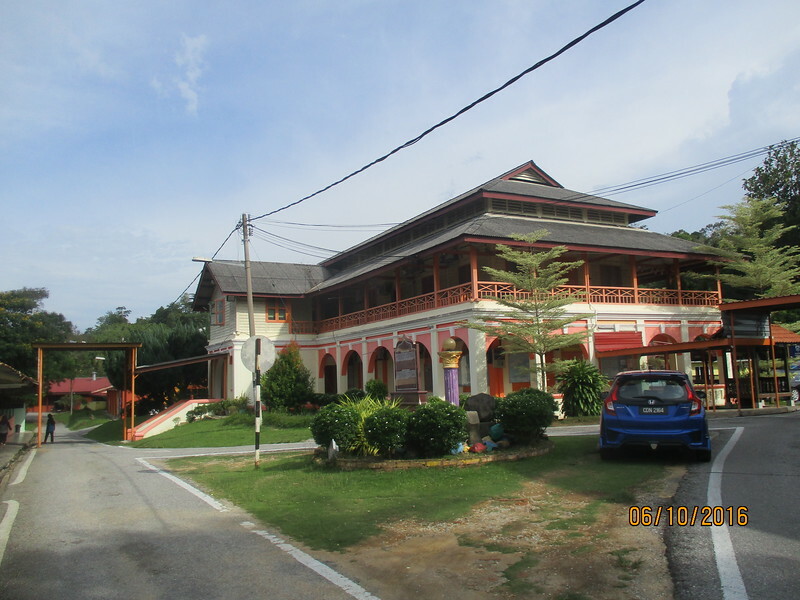 The Malay Hostel was completed in 1926 and to me, is the most beautiful building in the school compound. 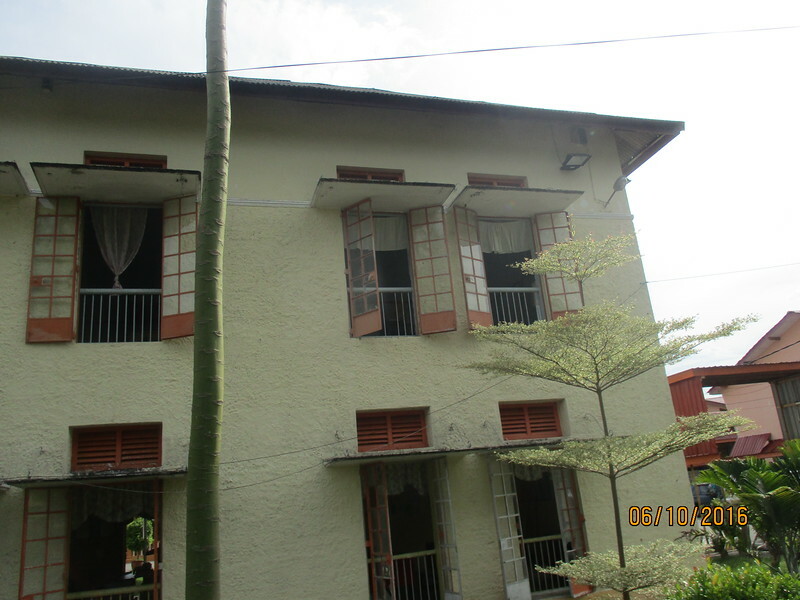 It was originally a wooden building but due to floods the ground floor of the hostel was renovated and a concrete block was built and turned to classrooms. The second floor still remains wooden. 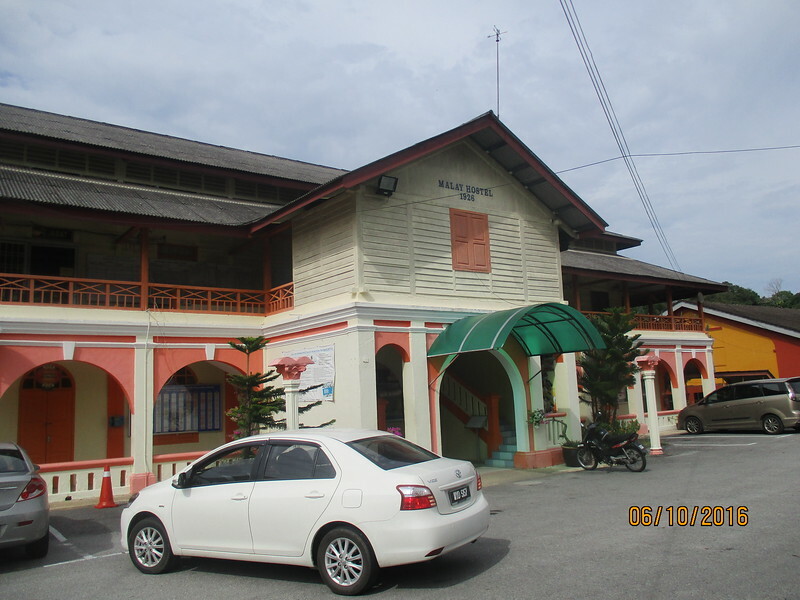 The Malay Hostel was built to support the shortage of classrooms for the Clifford School and parts of it were turned into hostel rooms for the increasing number of students who were from the interior part of Kuala Lipis. 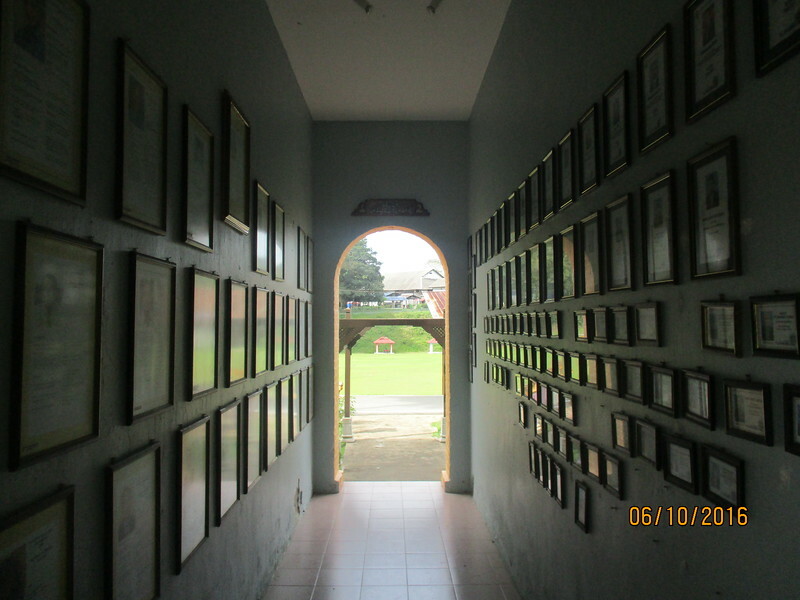 Presently on the ground floor of the hostel there is a mini museum where artifacts of the school are exhibited there. 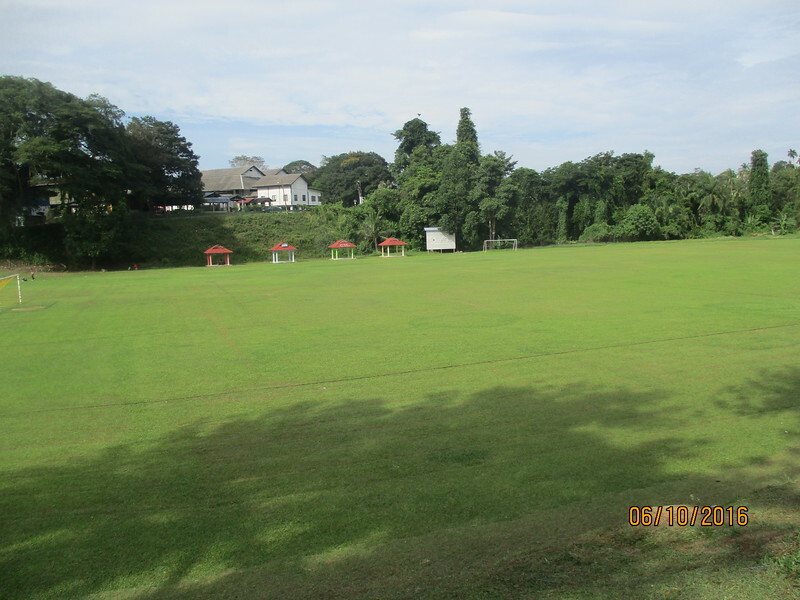 The Clifford School boasts a huge sports field and it was used to host Malaya Cup ( Malaysia’s prestigious football tournament) football matches back in the forties and fifties when Kuala Lipis was the state capital of Pahang. The game of cricket was widely played on this ground during the times of the British Administration. Now the school is one of the schools chosen for excelling in the game of cricket by the Ministry of Education. As it was dusk and also time to drive back to Kuala Lumpur, the last place that was visited was the Kuala Lipis District Administration building that is located on a small hill just beside the Clifford School. 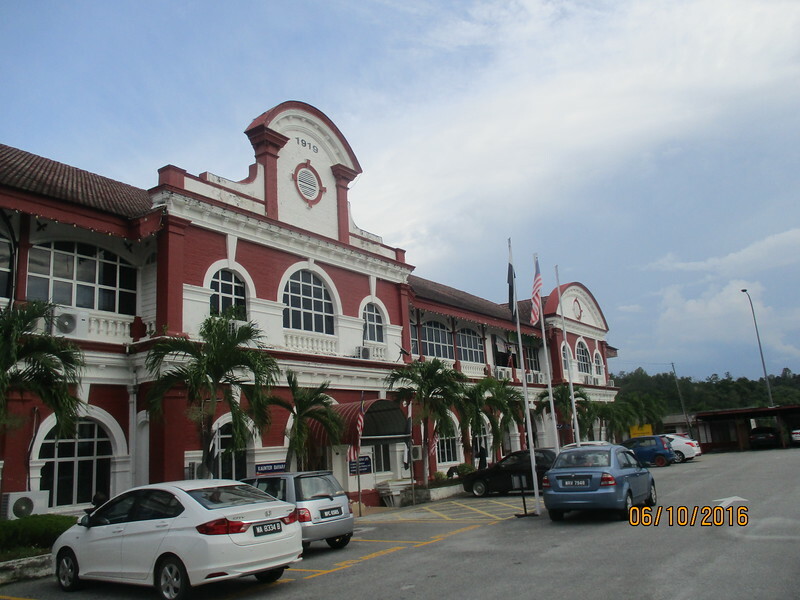 Built in 1919, it was the administrative centre for the state of Pahang where on the top floors were the offices of the Resident himself and his senior officers. 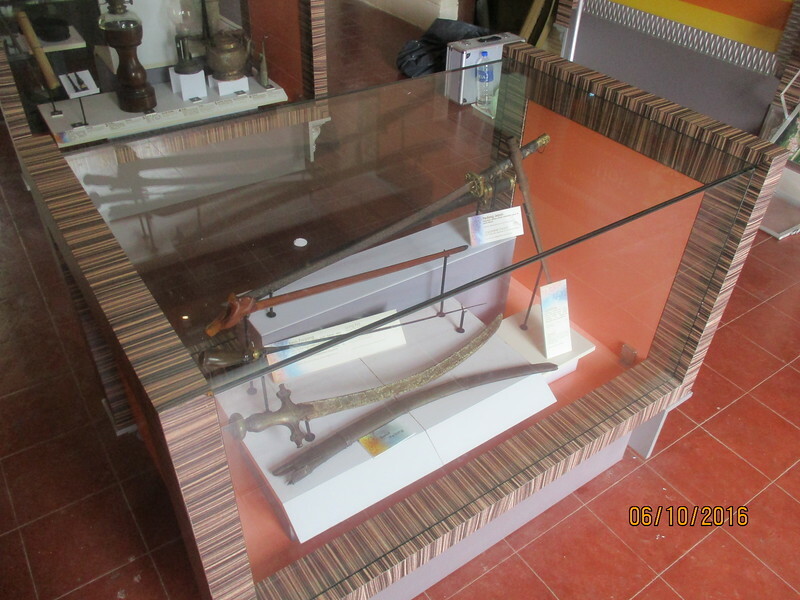 The collection department of the Treasury of Pahang was located on the ground floor. 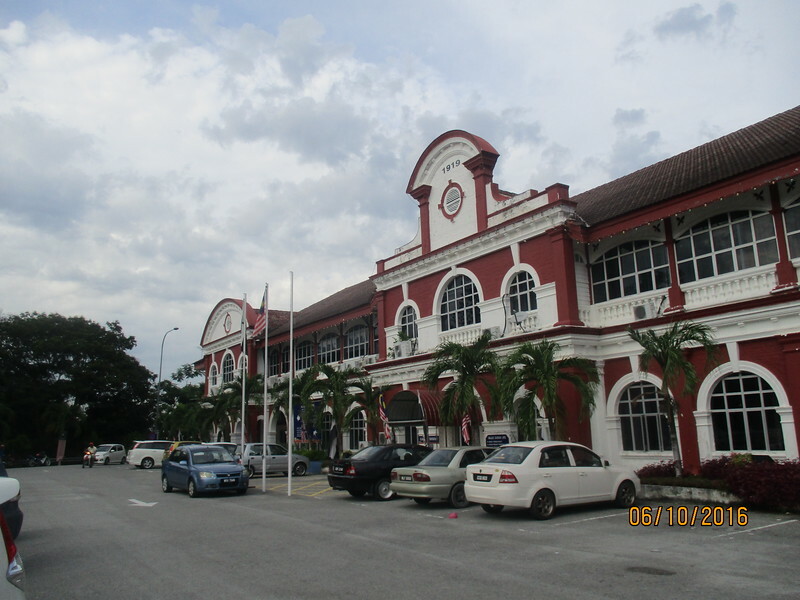 Presently the Kuala Lipis District Administrative building houses the office of the Kuala Lipis District Council and also the Kuala Lipis Magistrate courts. 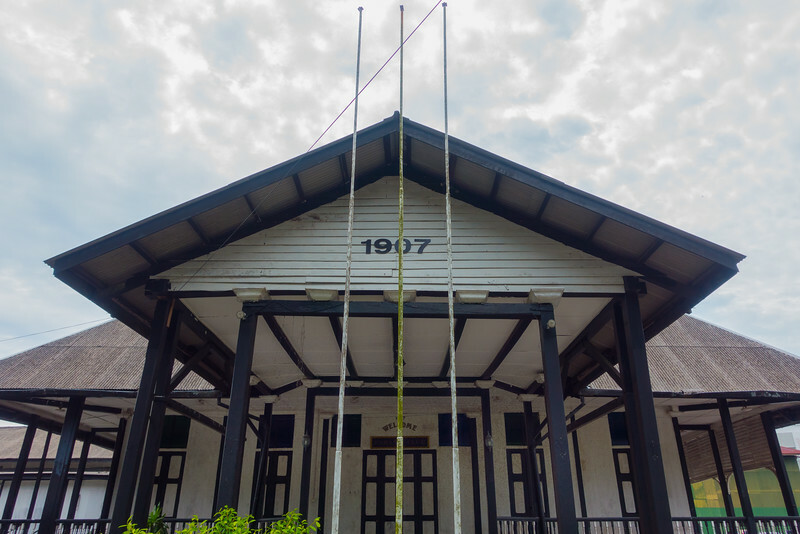 It was time to head back to Kuala Lumpur and I missed visiting a few more historical buildings in Kuala Lipis such as the Istana Hinggap which was once the residence of the Chief Minister of Pahang, the Residence of the District Officer and the Nurses Hostel. Insya Allah ( God Willing) I will return to Kuala Lipis to visit these buildings, as well as have wild Patin and Jelawat fish (Hoven’s Carp) for dinner and to embark on the ‘Jungle Railway’ from Kuala Lipis to Tumpat, Kelantan . Lama betul Clifford School dari 1913!